LED PAR36 well light fixture for many types of general ground lighting needs. This is for a LED PAR36 bulb and 12 volts and has everything you need to install. It's made from fiberglass housing with die-cast aluminum facia with polyester powdercoat or stainless steel finish so it's going to give you long service life. It's attractive classic design makes it perfect for any yard and garden lighting application. 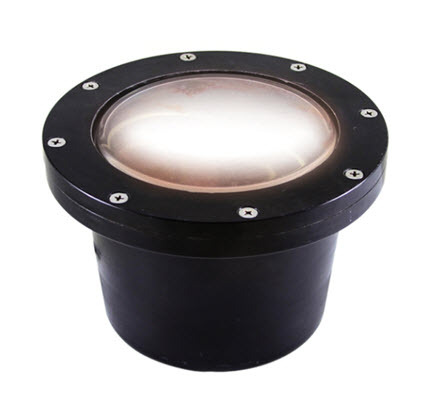 - Fiberglass housing and die-cast aluminum face..
- Polyester powder coat finish (Black). - Uses LED PAR36 lamp INCLUDED. 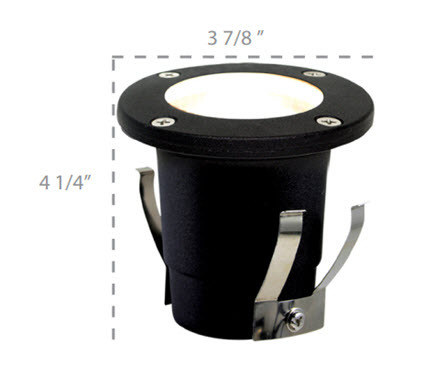 - Fixture comes pre-wired with 3 feet of SJ low voltage cable and water tight compression hub.